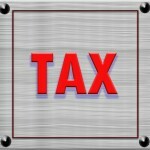 Married Filing Separate | TaxConnections is a where to find leading tax experts and tax resources worldwide. If you are married and decide not to file a joint return with your spouse, you must file Married Filing Separately. There is, however, one exception to this rule: A married taxpayer can be considered unmarried by law, if he/she maintains a household for a child, and the spouse was not a member of the household for the last six months of the taxable year. Such a taxpayer would not be required to file MFS, but will be able to file as Head of Household. • Each spouse wants to be responsible for his/her taxes only. • Both spouses agree not to file a joint return. When you file MFS, you report only your own income, exemptions, credits, and deductions. You should consider carefully before choosing this option, because Filing MFS usually puts you at a disadvantaged position, and usually means paying more taxes than filing MFJ. This is so because MFS has the highest tax rate. Filing MFS also disqualifies you from most of the credits/deductions that are available for the other filing statuses. If you file MFS, you are required to enter your spouse’s full name on line 3 of Form 1040, and also your spouse’s Social Security number in the heading section of Form 1040. You can change a MFS return to a MFJ return within three years, by filing an amended return. You cannot change from MFJ to MFS however. The primary objective of this article is to empower taxpayers to learn to do their own taxes. For information on how to choose the correct filing status, grab yourself a copy of “Doing Your Own Taxes is as Easy as 1, 2, 3,” ($6.98) on TaxConnections.com.